As Managing Director of Elder Caring, I am involved in delivering elder care advice to individuals, families, organizations and corporations and as such, I am frequently looking at ways to reach and engage a larger audience. In my research I found that existing YouTube channels dealing with elder care/caregiving issues, were frequently flat, not engaging and unappealing to younger viewers. I wanted to engage this age group as they are our caregivers of tomorrow. What I found, is that many young people were already in this role. Speaking with Executive Director Nora Spinks from the Vanier Institute of the Family and learning about their recent research project on the Young Carer, my CareGiverProject partner, Sid Lieberman and I knew that this was the perfect topic for the inaugural video on our CareGiverProject YouTube channel. Lucky, The Young Carer Rap is a compelling video designed to shine light on Young Carers. This video highlights the musical talents of Tricky P, a hip hop artist and caregiver. By heightening public awareness, it is hoped that in addition to recognition, funding, support and resources will be made available to young carers from coast to coast. Producer/ Creative Director: Sid Lieberman is a Gemini Award winning audio producer, editor, musician and online content producer. Sid has cultivated a vast network of Youtube, Twitter and other social media contacts which allows him the unique ability to reach deep into the online community and across a wide demographic and engage the online audience. His YouTube personae, NoisySid is one of his vehicles to connect with the Youtube audience. His comedic audio tutorials have been viewed by nearly 70,000 viewers in the short time they have been online and his subscriber base is growing at an astronomical rate. His unusually rapid and steady growth in popularity is primarily due to his social media savvy and the amazingly successful friendships and relationships he has developed in the online community. Associate Producer: Julian Frank also known as J. Frank is a Music Producer, Photographer, Videographer, Blogger and Media Expert. He is a graduate of the Media, Information and Technoculture B.A. program at the University of Western Ontario. Recent Professional Production Credits includes: London Calling Season IV on RogersTV (Videographer, Editor, Blogger, Writer, Music Producer); King of the Dot (Photographer) and HipHopCanada.com (Photographer). In addition to shooting and editing this video, J. Frank composed, performed and produced the song “Lucky”. Performance by: Patrick Stephens, also known as Tricky P, is a gifted song-writer, an evocative rhymer, and a soulful rapper/singer. Studying Film at his 2nd year of U of T by day, he headlines as his battle rap alter-ego by night: YouTube superstar Tricky P. In a sub-culture and artform based essentially on insults and negativity, he uses comedy and a strong musical background to infiltrate the international battle scene with positive vibes. Disguising them in wit and satire, he uses what are supposed to be “disses” as opportunities to combat societal issues such as ageism, homophobia, and racism. He is currently working on a philosophically themed album, aimed at asking people to question their assumptions on world issues and their ideas of right and wrong. So I thank my lucky stars we still got some time. Tôt samedi, on me tire du lit. mais on doit se rendre chez grand-maman. écouteurs vissés, jusque chez elle. en allant frapper à la porte. si heureuse que nous soyons tout simplement là. à plus de 90 ans, si pleines d’entrain. Moi, j’en ai moins qu’elles, à 13 ans. Ces femmes sont surhumaines; elles en ont l’air. Elles me font rire, choisissent bien leurs mots. Leurs petits plats sentent le thym, la sauge et le persil. pensant toujours à quel point l’autre me manque. Un an de plus : quatorze ans. boit à peine et n’a jamais fumé. si bien que son aidante devient un besoin. C’est Milah qui l’aide et lui prépare les repas. en relève pendant son congé. qu’une simple tâche, comme à l’école. et avec le temps, je deviens un homme. loin des drames impossibles des ados. jamais traité de perdant ou tenté de me frapper. Toujours des encouragements, des compliments. les années passent, mais les liens restent. Voilà mes 22 ans et rien n’a changé. mais toujours ce sourire, chaque fois. parce que pour certains, il n’en est pas question. Quelle chance que ce travail existe! par mon cynisme pour ces obligations familiales. et on peut être si égoïste, mais que peut-on y faire? mais je bénis le ciel qu’il nous reste encore un peu de temps. Les responsables du projetCareGiver tiennent à témoigner leurs remerciements à Joan Barsvary et à Carolyn Stephens pour leur participation à cet importante initiative. Remerciements tout particuliers à l’Institut Vanier de la famille pour son généreux soutien. • Physical care, such as lifting, helping a parent on stairs or with physiotherapy. • Personal care, such as dressing, washing, helping with toileting needs. 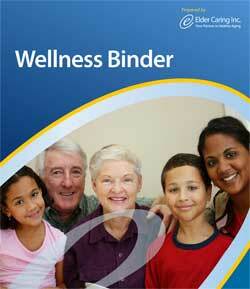 • Managing the family budget, collecting benefits and prescriptions. • Looking after or “parenting” younger siblings. • Interpreting, due to a hearing or speech impairment or because English is not the family’s first language. There are a number of organizations that have already taken leadership and have developed support networks for this group. They are not enough, especially with the aging demographics anticipated. Please consider getting involved and supporting these young carers. It is our hope that ‘Lucky’ The Young Carer Rap video will bring a new surge of interest into this overlooked group that requires and deserves our attention, recognition, assistance and support. The Young Carers Initiative (YCI) and Hospice Toronto have joined forces to establish Young Carers Canada, a national organization to promote the well being of young carers and their families.